Located just a short drive away, for hotels near Kinsale, the Carrigaline Court Hotel is ideally suited as a base from which to tour the nearby picturesque town of Kinsale. Be sure to sample some of the gourmet restaurants and visit the very impressive “Charles Fort”. For Cork hotels close to Kinsale, the Carrigaline Court Court Hotel is the ideal choice for your stay. When searching for Crosshaven hotels we are located closest to the scenic village of Crosshaven. Located just minutes from our luxury Cork accommodation and home to the Royal Cork Yacht Club, the oldest yacht club in the world, Crosshaven is a wonderful sailing town. It also offers a picturesque amenity walk alongside the waters edge which stretches for several miles. 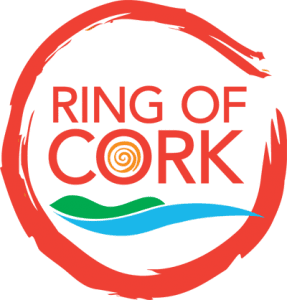 It also hosts the renowned “Cork Week” every two years which transforms the area into a buzz of sailing activity and guests travel from all four corners of the globe to attend. One of the country’s largest ferry ports, Ringaskiddy is the last port of call before that family break to France! For Ringaskiddy hotels, the Carrigaline Court Hotel is the ideal choice for your break. With its variety of shops, restaurants, pubs and interesting narrow streets, Cork city centre is a must for any visitor to this area. Situated in Cork City centre, the English Market is Cork’s famous roofed food market, which has been trading since 1788. The market was developed and is still owned by Cork City Council and it is one of the oldest municipal markets of it’s kind in the world. Just recentlt the market also played host to HM Queen Elizabeth II and HRH Prince Philip, Duke of Edinburgh who visited Cork as part of the Queen’s State Visit to Ireland in May 2011. Cork Opera House provides a high variety of shows for all genres of activity such as opera, drama, dance, concerts, musicals and family productions. In the past few years Cork Opera House has produced and co-produced 33 new productions which have in fact toured to 38 venues in 22 different counties. Located just 20 minutes from this 4 star hotel in Cork using the cross-river car ferry, Cobh is a wonderful spot for a half-day trip. It’s brightly coloured houses, wonderful sea views and impressive Cobh Heritage Centre, detailing the history of the Titanic and the Irish Famine, makes it an interesting visitor attraction for both young and old. Visit Fota Wildlife Park on the same day as they are located just next to each other. The largest airport in the southern section of Ireland, when it comes to hotels near Cork airport, the Carrigaline Court Hotel is only 9km from the airport, offering a perfect night’s stay before jetting off on your vacation. 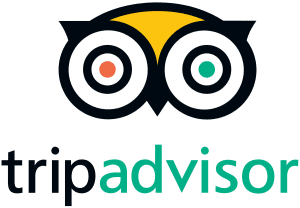 Within 20 minutes drive, a wonderful open park with a spectacular variety of wildlife, Fota Wildlife Park is a wonderful place for guests to stroll around. A perfect way to spend a delightful morning or afternoon. Follow the story of Jameson Irish Whiskey with a wonderful tour through the distillery, located in Midleton, just 25 minutes drive from the hotel. Blarney Castle is Located just 25 minutes from the Carrigaline Court Hotel, home to the world famous Blarney Stone. This historic and famous castle is well known for its stone, which has the traditional power of conferring eloquence on all who kiss it! Afterwards enjoy some gift shopping in Blarney Woollen Mills and Meadows and Byrne all situated in the one building in Blarney. The Carrigaline Court Hotel offers a wide range of specially tailored B&B packages – keep an eye out for some of the best hotel deals Cork has to offer!